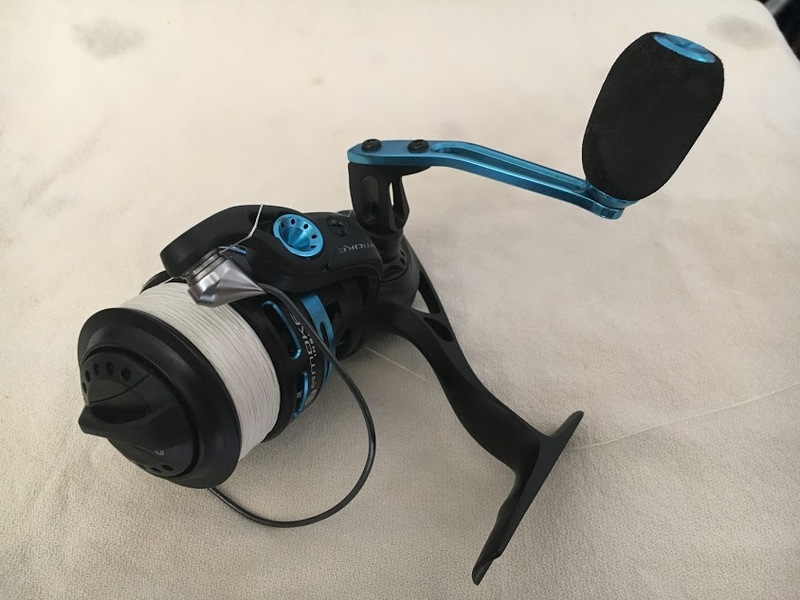 Gear and Equipment Descriptions | Capt Tony's "Walkingangler.com"
Fishing Rod – I like to use a 6′ to 7-1/2′ light to medium surf type rod. This size fits most conditions and species. You should try to purchase one that fits your size. Some rods are heavy and will tire you out quickly. Try to fit the rod to the angler. I like to got small here too. Spinning Reel – There are dozens of spinning reels to choose from when selecting a good all around reel. Most of the time, I would purchase a rod and reel combination. This way the two items match. You can also mix and match rods and reels but I always check with the local tackle shop for the correct type. Baitcaster – There are many advantages of using a baitcasting reel. One advantage is accurary. But it can take up to a year to master. But once comfortable, the angler may never use another type for close casting. One thing about casting reels that discourages many from using one is the dreaded backlash also known as a bird’s nest. 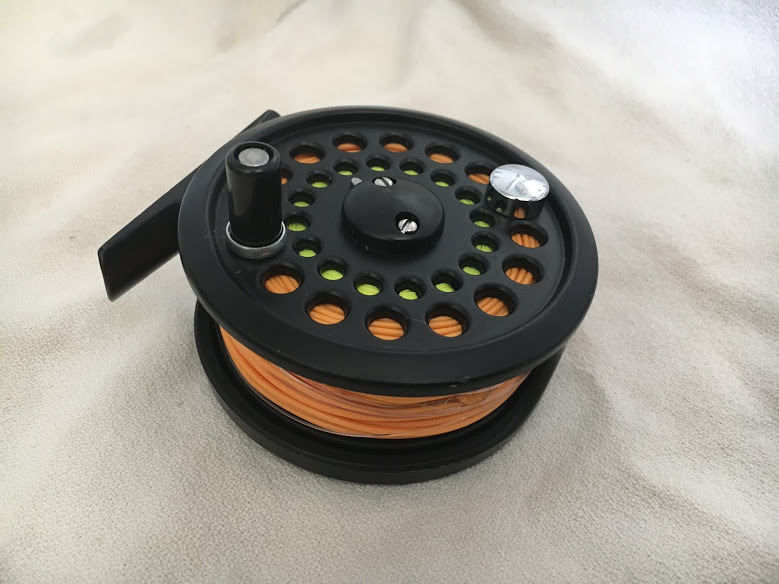 Fly casting reel is designed to cast a fly on the end of a heavy floating or sinking line.Basically this reel is only used to holding the line. Line – I use 10-16 lb. monofilament line. Like rods and reels, there are dozen types of line. I try to go with a little better quality line. And with everything else, you get what you pay for. Go for the best line you can afford. Most rod and reel combinations come with line already. This line is matched for the equipment so unless you have a specific prey or type of fishing, this set up will work fine. Leader Material – a leader is designed to be an extension of the main line on a fishing rod / reel. 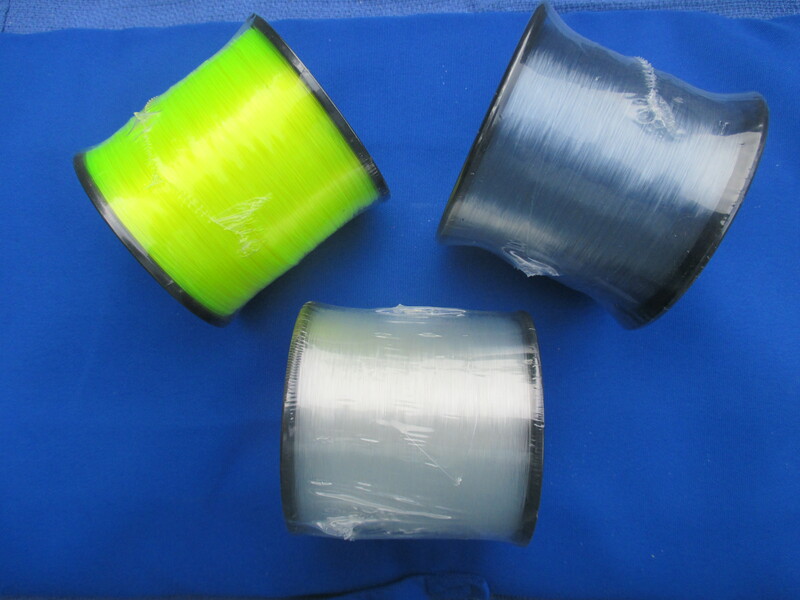 This line is typically a little heavier and consists of fluorocarbon material. 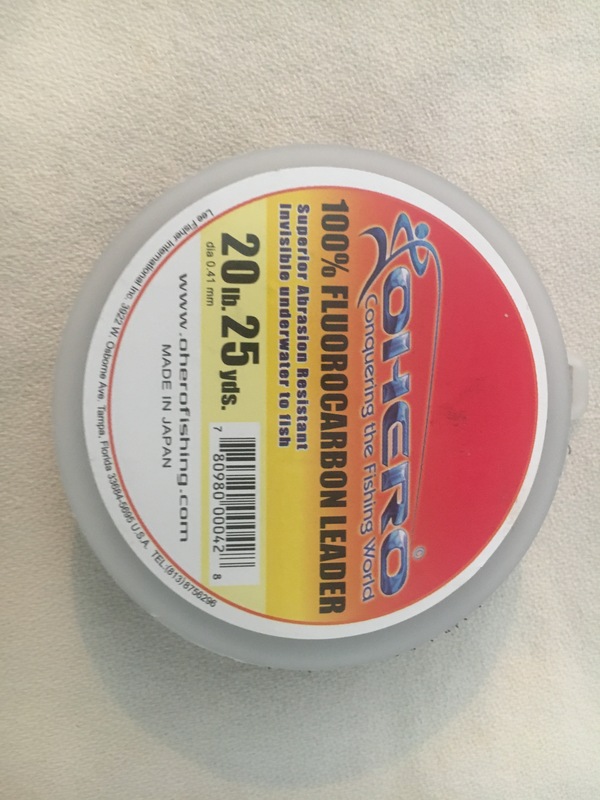 Fluorocarbon is stronger, is resistant to wear and nearly invisible under water. 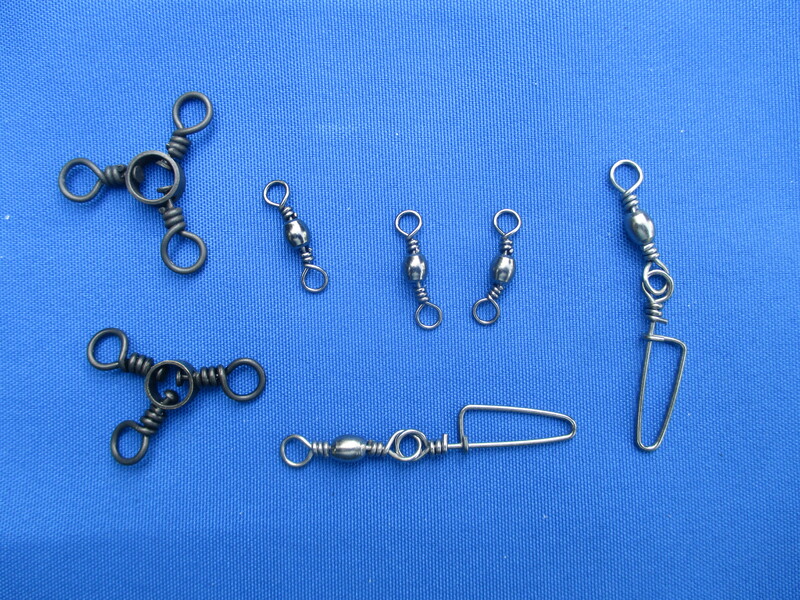 Terminal Tackle – These items include snap and barrel swivels. I use a snap swivel on the end of my line. Attach it with a simple “clinch knot”. Applying a snap swivel on the end of your line allows for a quick change from several different types of bottom rigs. Rigs – When fishing on the surf or pier, the best application is a standard two hook bottom rig. This type of rig accommodates a sinker and two hooks at different levels. 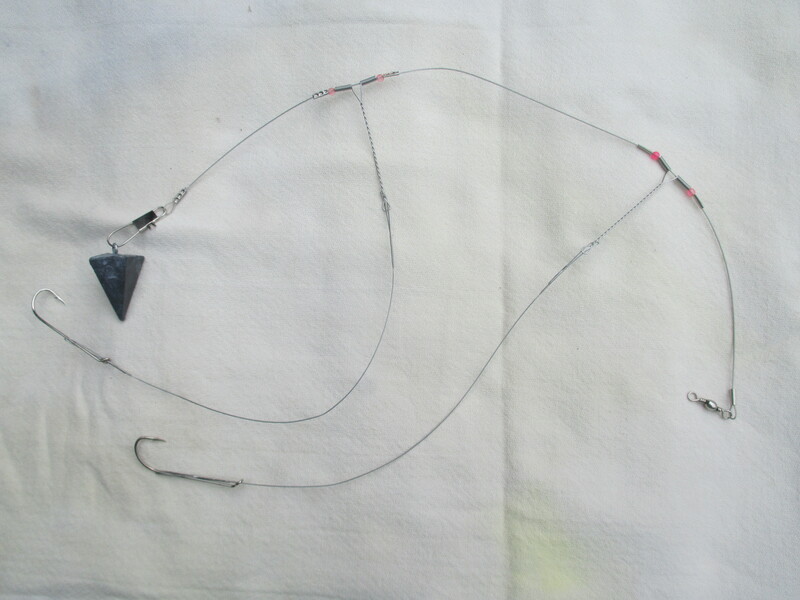 This rig allows for quick change for hook and sinker sizes and styles. I always start small and work my way to larger sizes. More about hooks and sinkers later. There are several other types of bottom rigs available. Three that I use on a regular basis is the Carolina rig, Texas rig and sabiki rigs. More about these rigs later. Hooks – There are many types and style of hooks available. Some hooks come pre-rigged with wire or monofilament or fluorocarbon line. Others will contain wire line. And others will come in a package of single hooks. For your use in this setting, I recommend that you obtain several sizes of pre-strung hooks. 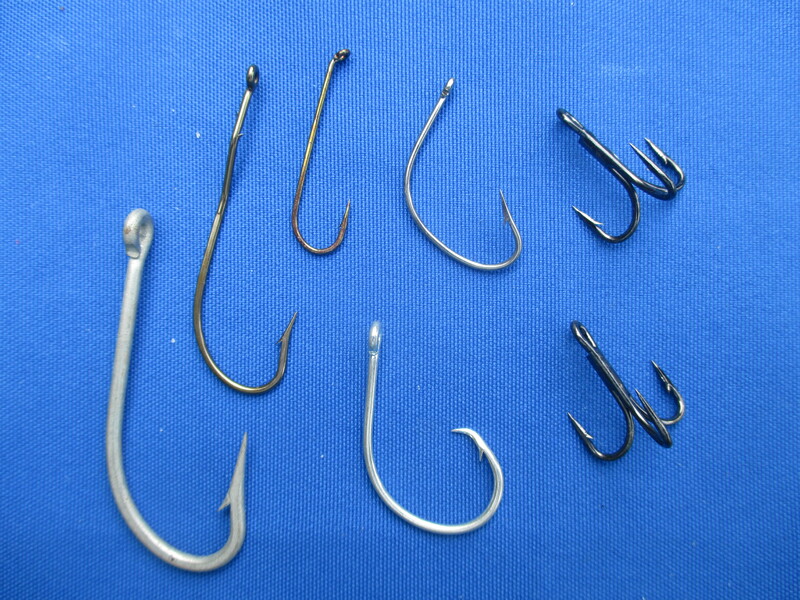 Numbers two (2), four (4) and six (6) “J” hook types should work for most applications, There are also many types of circle hooks. These hooks work very well in certain applications. More about circle hooks later. Sinkers – Lead and composite material sinkers come in various sizes and configurations. I recommend you obtain the pyramid type in one ounce (1), two ounces (2) and three ounces (3). These sizes will work in most applications. 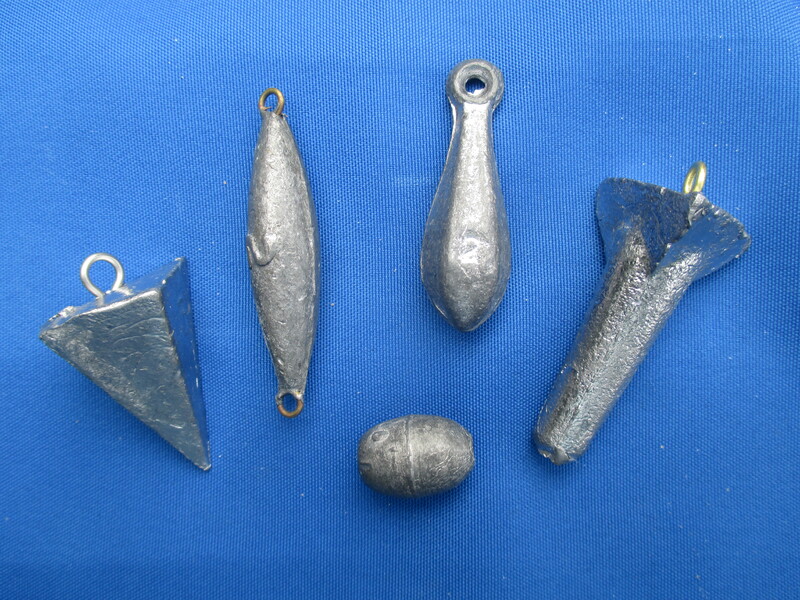 There are also barrel and bank sinkers. More about these types later.